Do We Take Christ Seriously Enough? This may seem like a strange question as we begin Advent, but I believe it is an important question we should ask ourselves. This is a questions I ponder most days. How we think about Christ changes our to do list and what we do day to day. What we believe about Christ changes our lives from the inside out. You can read the scripture for this week here. I am inviting us to read the same passage each day this week (as will be the invitation for the other weeks in Advent). The reason for this is to see how the scripture speaks to us throughout the week. So, the question for today is “do we take Christ seriously?” Jesus speaks of the end times and the Son of Man coming in glory and that we need to be on guard and be prepared for that time. We will not know when it is coming, for it will happening suddenly. Many people like to skip these kind of passages because they find it scary or don’t think the end will happen like this. Even though these passages may seem kind of harsh, they do point to a Christ that is not all feel good and every thing will be just fine if we have enough faith. He shows us there is more to Jesus than just offering peace. He shows us more depth into who God is. If we take Christ serious, we’ll love all the messages He brings because they are God’s word to us. We should always take serious Christ and His word. This doesn’t mean we understand everything, but we trust that God knows what He is talking about. I challenge each of us to think about how serious we take Christ and His word today and this week. I hope we are more serious about the faith we have in Him more and more each day. 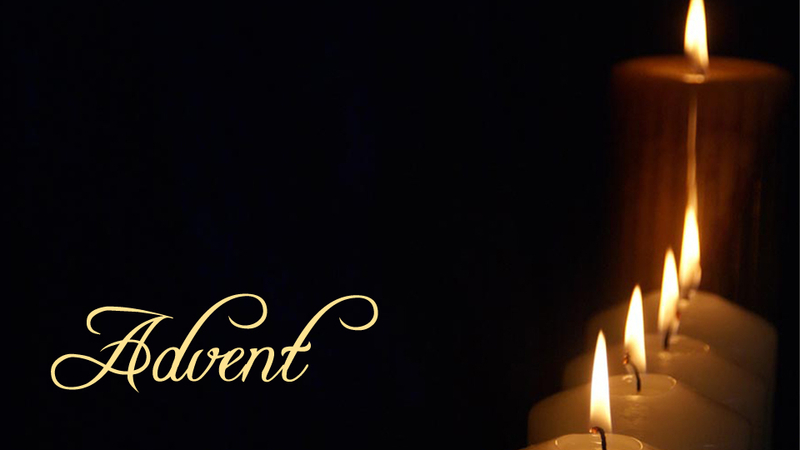 We have just entered into the season of Advent. This marks the beginning of a new Christian church year. Advent is one of my favorite times because we have the opportunity to focus on the actions God took by becoming man, Jesus Christ. We are invited, once again, to deepen our faith and allow the message of the Christmas Story – the birth of Jesus Christ to change our hearts so we can work with God to change the world. Let’s make this season come alive with deeper meaning and joy. As we begin this journey, we begin with a scripture passage of Jesus talking about the end times and the return of the Son of Man in glory. We will be asked some questions this week that I pray will cause us to really think about who Christ is to us and how His birth turned the world upside down. You can read the scripture for this week here. Today, we begin our journey by asking the question,”what are we preparing for?” It may seem a little strange to start the season of Advent with a passage about the end times and the Son of Man returning; but this is an ancient tradition that has helped Christians through the centuries to prepare their hearts and lives to fully celebrate the birth of Jesus Christ. We are preparing our hearts, our lives, our eyes for God’s actions in the world. Think about it, when we talk to God (pray), do we expect God to act? Another way to put it, when we pray for rain, do we pray with an umbrella in our hand or simply wish for it to rain without trusting that it will? God is acting in our world. Jesus said, “let those with eyes see and those with ear hear.” Do we notice all God is doing, even in the midst of turmoil? We are also preparing for the birth of a Savior. This Savior is different. We do not have a Savior that will make our lives easier; but a Savior that will be with us every step of our life journey. When we need strength and endurance to endure hardships or difficulties in our life, Christ is with us. We prepare for something new. Births of children are always the reminder of new life. This Advent, I hope we experience the new life God gives us each year, each day. We can trust that, even in the darkest times, Christ is with us in glory. Are we ready to celebrate His birth? Are we ready for His return? How will we prepare for the birth of Christ in our hearts and lives this year so it’s not something we go through, but rather something we live for. We have come to an interesting point in our journey this advent season. Herod trying to figure out where the “King of the Jews” would be born. At first glance, these verses may not make sense being part of a devotional series preparing our hearts for Christmas; but if we look closely and listen we can see a couple incredible things. First, this passage shows that Herod was not paying as close attention to his area as he should have. Have you been busy in the business of the Christmas season, that you may have missed something important? We all get caught up in our lives and become so inwardly focused that we can miss what God is doing all around us, especially if it does not directly pertain to us. I believe part of the reason for the Advent season is to remind us to be patient and expectant. This means we look for Christ is all we see, hear and do. We are patient because we take the focus off of ourselves and onto God. We are expectant because we should love to see that God is doing around and in us. Second, this passage shows that Herod had learned people around him to continue to teach him. Who do you have around you that you can ask questions to so you don’t come up with your own conclusions; but you can learn from each other? Being in community is another part of the Advent season. God comes down to be with his people (community). As we’re getting closer and closer to Christmas, let’s all pay close attention to what’s going on around us so we don’t miss God’s work in the world and in our lives. Let’s also continue to keep learning from each other. Holy God, you do incredible works all around us. Thank you for inviting us to observe, yet be part of your working in this world. Help us open our hearts to see and hear from you as we prepare to celebrate, once again, the birth of Jesus the Christ. Come, Lord Jesus! Amen. Luke 1:35-38 The angel replied, “The Holy Spirit will come over you and the power of the Most High will overshadow you. Therefore, the one who is to be born will be holy. He will be called God’s Son. Look, even in her old age, your relative Elizabeth has conceived a son. This woman who was labeled ‘unable to conceive’ is now six months pregnant. Nothing is impossible for God.” Then Mary said, “I am the Lord’s servant. Let it be with me just as you have said.” Then the angel left her. Humans have limitations. God does not. We often try to say God only works in certain ways and in certain times and under certain circumstances. This is simply putting God in a box. One of the issues with this is that when we put limits on God, we are attempting to control God and create God out of our image. One year several weeks before May graduation, the leaders had a few days to decide whether the school would continue. Three people were awakened at 5 a.m. on a Saturday—Dr. William Anderson, a Dallas pastor instrumental in the Seminary’s founding; Dr. Chafer, founder and first president; and a donor. None knew the others were awakened, and each was impressed with the need to pray about the burden the Seminary faced. Only weeks later did they learn that all three had been awakened at the same time. It took the donor about two weeks to get the money ready. And at the time it arrived, Dr. Lewis S. Chafer, Dr. Rollin T. Chafer, Dr. C. Fred Lincoln, and Dr. Harry Ironside prayed together on a Monday morning in an office. After praying they sat for a few minutes in silence. There came a knock at the door and a government bond for $10,000 arrived from an unknown banker in Illinois. Some folklore has developed around this narrative. There was this story about a cattleman or a rancher. Somebody retelling it probably preached that “God owns the cattle on a thousand hills,” and that’s where cattle and a Texas rancher came in. But the real story had nothing to do with a cattleman or a rancher. In reality, it had everything to do with “the God who owns all” sovereignly working in the hearts of a pastor, a president, and a donor. Three men prayed, and one had the financial means to give what the school needed to survive. In obedience, he sent it. That story has been a faith-builder for many of us throughout the years. The prompting of the Spirit and the Lord’s provision at that time constituted a God-moment in our school’s history. Stories of answered prayer and God’s provision have continued across the decades. God can overcome any limitations we place upon ourselves: education, finances, or anything else. Today we are invited to wholeheartedly trust God and see how big God truly is…so much bigger than we might imagine or can conceive. Great God, we often place you under limitations. Help us trust you and help us see how grand you actually are. Guide us and break us free from lack of trust and movement on our part because of our limitations. Come, Lord Jesus! Amen.